Promoter Don King says Machado-Mensah fight has become convoluted, full of intrigue & machination; we are ready to fight! 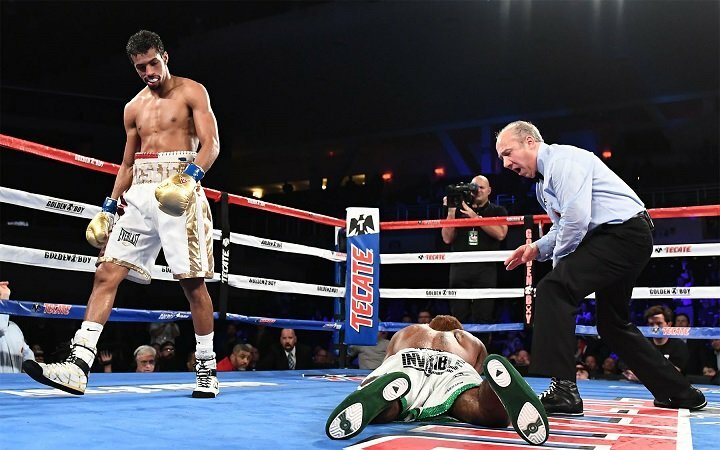 Boxing promoter Don King has been trying to finalize a fight with WBA super featherweight champion Alberto “El Explosivo” Machado for more than two months with his number two contender, Rafael Mensah. King continued: “I had the one call with Robert Diaz and he never called me back. We kept calling him. We were supposed to go in together to meet with Peter Nelson and they said we would have a 50-50 deal, and I’ve never heard from him. Mensah has been waiting three years for a title opportunity. Mensah, who hails from Ghana, is 31-0 with 23 KOs. You are here: Home / Press Room / Promoter Don King says Machado-Mensah fight has become convoluted, full of intrigue & machination; we are ready to fight!